Robertson was on the Fox News show "Hannity" Tuesday night, and the topic of the recent beheadings of journalists in the Middle East came up. Robertson — whose religious beliefs have stirred several controversies in the past — offered up this ... "In this case you have to convert them, which I think would be next to impossible." 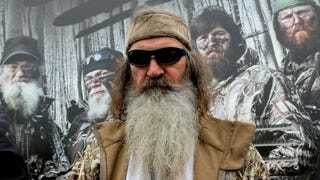 Phil added, "I'm not giving up on them, I'm just saying convert them or kill them. One or the other." Oh dear. Nick Cannon Twitter-ranted about Mariah. And despite angering Carey by talking to the press, Cannon took to Twitter today to talk very publically about their issues. "What infuriates me most is to hear people slander @MariahCarey . I will forever be in debted to her for blessing me with our children... I will always love her unconditionally for this and so much more. @MariahCarey is an amazing Mother and I trust her wholeheartedly," the America's Got Talent host wrote. 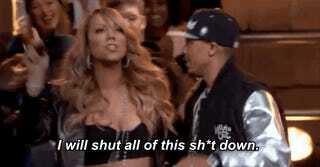 "I love @MariahCarey and that will never change!!!" he went on. "If the media wants to portray me as the Bad guy that's fine...But it is unfair to drag innocent people into the equation...Others have lives, families, and careers and for the media to slander them is down right evil and illegal...I apologize to anyone who's gotten caught up in this unwarranted drama."